Build Africa has over 20 years' experience of fighting poverty through education and working with communities at a grassroots level to address the unique problems their children face. We know that education has the power to transform a child's life, give them a more prosperous and healthy future, and help their entire community beat poverty and inequality. Put simply, an education can change everything. 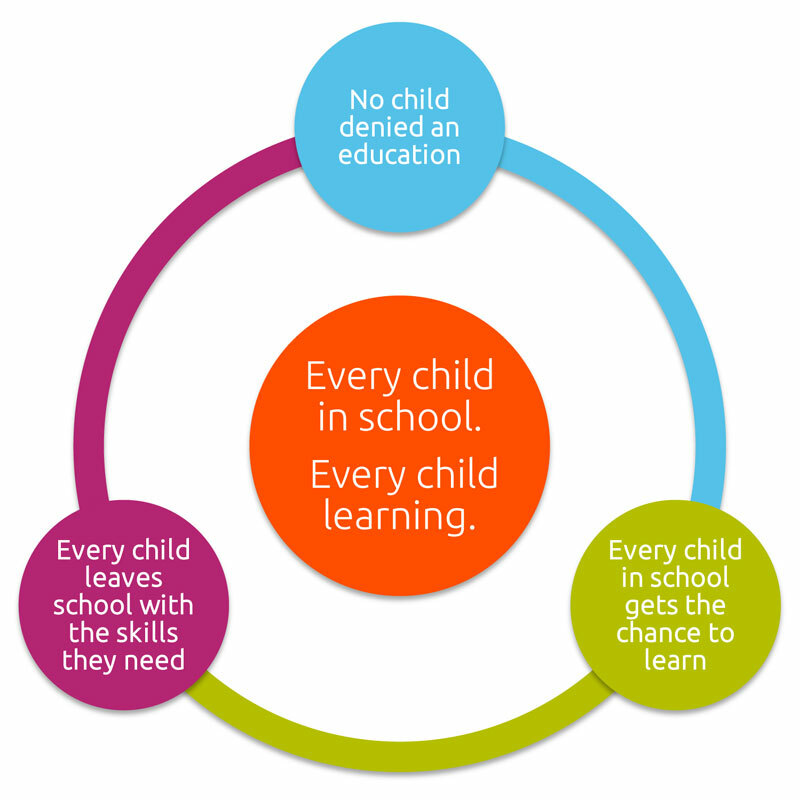 So we work hard to give every child the opportunities they need and make sure that nothing stands in their way. Build Africa has one ultimate goal: Every child in school. Every child learning. We help parents to earn a secure living, so they can support their children through school, and enable farming families to grow more sustainable crops and get a fair price for their work. We tackle discrimination within communities, helping girls, minorities and vulnerable children overcome the inequalities that can prevent them from going to school. We aim to help children have the best possible education during their time at school in a safe and engaging environment. We support every school to meet the needs of every child, making sure that materials and teaching methods are accessible to children with disabilities, and that girls aren’t held back by anything from cultural attitudes to poor toilets during their period. We aim to help children learn the skills they need from well-trained and properly supported teachers, so that they can leave school with an education to match their ambition. We train teachers in child-focused teaching methods appropriate for each age group and connect them through collaborative networks to solve problems, making sure staff are motivated and well supported.